To Your Taste is a well established free-lance catering company, the business has grown almost entirely through personal recommendation over 20+years. With an excellent reputation which has been built with both private and corporate clients demonstrating the ability to provide a consistently exceptional catering services. Using the best quality, freshest, local ingredients to produce both traditional and original food which is tailor made for your special occasion with every effort to accommodate you requirements . So, whether organising a wedding for “that special day” of your life or an informal gathering to celebrate a family occasion or life event To Your Taste offer fine food, efficient service and attention to detail leaving you free to relax, enjoy and make the most of your special occasion! Predominately covering Farnham, Alton and the surrounding villages around about the North Hampshire and South West Surrey border. A small friendly team providing bespoke catering services with a friendly personal touch. 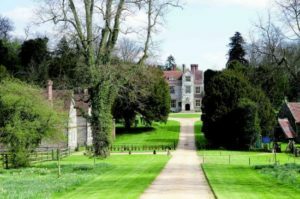 Located in the Hampshire village of Chawton, Chawton House Library is over 400 years old. Internationally known as the home of Jane Austen’s brother and just a few 100 yards from where Jane Austen had her most productive writing era. Surely an idyllic setting for a very special day! 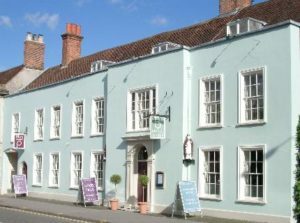 Recently fully refurbished for 2017, this early Georgian building is fairly centrally situated in Farnham, classically beautiful of the era. The Bishop’s Table specialises in functions seating up to 70 that opens to a lovely walled garden area, it could be the perfect setting to celebrate a life event! A 17th century barn near the village centre of Churt. 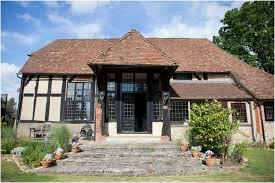 Ideal for weddings and family parties of up to 80 in a peaceful and tranquil setting, with a beautiful garden. Steeped in history, a picturesque hideaway for that special occasion!